Thinking of selling your home in 2019? If you’re (almost) ready to sell your home, you certainly don’t have to hold off until the New Year – and there are advantages to consider when listing your home over the holiday season. “Won’t it be too busy?” is a common question we hear from clients who are considering a holiday sale. Sure, having a home on the market will require your diligence and attention throughout the process – but when it comes to the biggest investment you might ever make in your life, it can surely be a sacrifice worth making! If you’ve ever schlepped around to look at homes with your Real Estate agent in inclement, cold weather – while your to-do list of holiday shopping, baking, and parties to attends grows by the second – you likely recall that you meant business. Simply put; if you’re looking for homes over the holidays, you want in. Badly. The savvy seller recognizes this, and knows this could mean a speedy, profitable sale – on their terms. Ask anyone what the most popular way of searching for homes today is, and the majority will respond by saying that it must be the internet and social media. Home buyers now browse homes for sale on their tablets and phones from work, from the bleachers at the game, and even from bed. And you can bet that the holidays don’t slow down their browsing activities – more people are inside, and many of them have time off work too. Note: if you’re selling, you MUST ensure that your listing looks on-par to industry standards online – and stands out from the crowd! Ask your experienced Real Estate team about their photography, listing marketing systems, and social media marketing. It’s no secret that everyone comes out to play in the Spring market, but the casual sellers retreat to where it’s warm and cosy over the holiday season. This means that with less competition on the market, we can get more eyes on YOUR home! As you might deduct, this could result in a speedier, more profitable sale for you and your family – and an increased likelihood of having things go according to your terms as well. If you DO decide to list your home over the winter months, there are a couple of things you can do to maximize the appeal of your home. Here are just a few (don’t hesitate to ask us for the full run-down!). 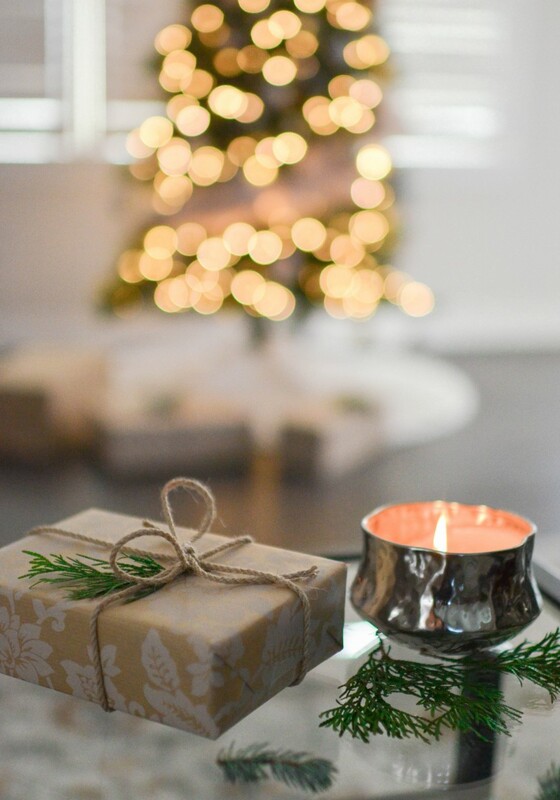 .Simplify Holiday Decor: When it comes to holiday decorating, a little goes a long way! Although decorations can surely be charming, they can visually add clutter to a space, and may not be to the potential buyers’ taste. Keep the extra baubles and knick-knacks packed for next year, and only put out some of your favourite (and elegant!) decorations. We don’t want the natural beauty of your home to hide behind all of the seasonal accents! Winter Scents: Although we don’t want to go overboard with scented candles or sprays as many people have allergies, you can simmer wintery spices on the stovetop, or bake cookies – for a nostalgic smell that’s sure to delight! Try simmering hot apple cider, infused with nutmeg, cinnamon, and vanilla. They won’t want to leave! These benefits are just a few of the reasons why today’s savvy sellers are considering a holiday sale. Plus, it’s worth mentioning that our winter home buyers might be motivated to reap the benefits of buying a home before year-end to capitalize on any tax benefits as well. We do remind our clients that buying or selling a home can add a layer of complexity to any tax situation, so be sure to ask us about this when you get in touch. We want to ensure you get every single deduction and break that you possibly can! If you’re considering what it might feel like to put your home up for sale over the holiday season, get in touch with our team today! We’ve got a selection of experienced agents – we’ll help you find the right fit for your needs. Let’s start 2019 off with a SALE!